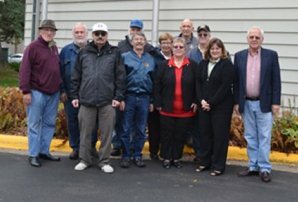 Retired Machinists in Minnesota join to form the Minnesota State Council of Machinists Retirees to effect change for retirees and working families in the Land of 10,000 Lakes. After much planning and collaboration, a core group of dedicated and persistent retired Machinists have officially formed the Minnesota State Council of Machinists Retirees. For more information or to join the Minnesota State Council of Machinists Retirees, contact Madden at starkmad@frontiernet.net.